This post originally appeared on Minxeats.com on November 21, 2012. 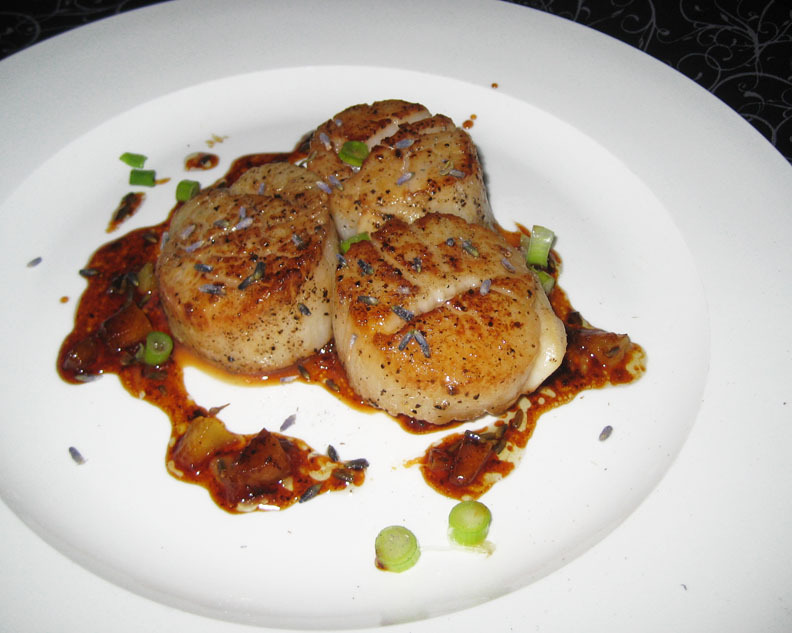 Scallop dishes at restaurants don't seem quite as astronomically priced these days as back then, but they're still not cheap. I seared the scallops in a bit of olive oil, removed them from the pan, and turned off the heat. To the still hot pan, I added a tablespoon of butter, a tablespoon of honey, about a teaspoon of dried, food-grade, lavender buds, and a teaspoon of chopped preserved lemon. The honey caramelized almost instantly, creating a rich, lightly sweet sauce for the scallops, which were also garnished with a sprinkle of green onion and a few more lavender buds. Had I ordered this in a restaurant, it would have cost $35. Cost me around $6 to make at home. And they were damn fine.